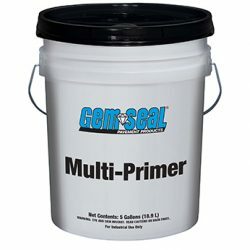 Trust GemSeal for your primer and bonding agent needs. These products are especially designed to prime asphalt prior to sealing or patching. 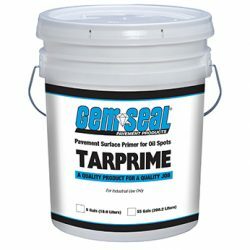 They can also help cover hard-to-clean areas such as oil or gas spots; their unique formulas prevent these stains from “bleeding” through fresh sealer. Multi-purpose, UV resistant acrylic primer for use on oil and grease contaminated areas. Used as a bonding agent between new bituminous asphalt and old. Primer used on badly oxidized asphalt pavements prior to seal coating. 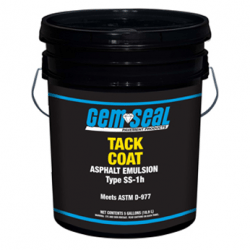 Improves adhesion of sealer over any surface. 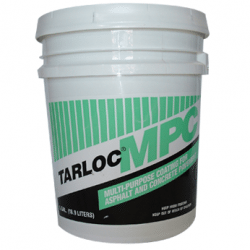 TARLOC can be applied by brush, roller, or sprayer. Formulation of acrylic polymers that allows the pavement coatings to bond effectively and dry quickly. A unique ready to use, job-proven primer.